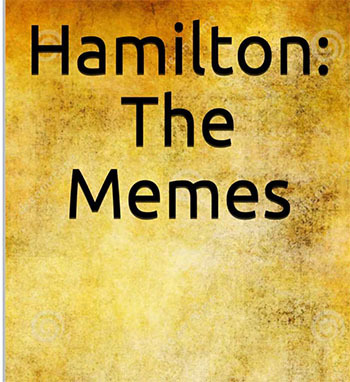 Who would have imagined that the Venn-diagram of people who like memes and people who like Hamilton would overlap into an e-book? Besides me, I mean. Use the “Look Inside” if you feel like you really need to see what’s inside this book. 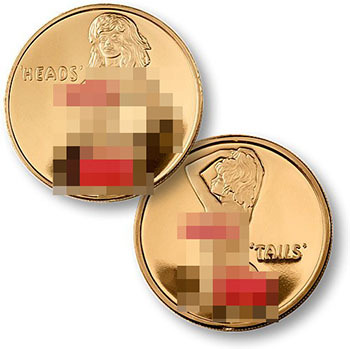 Coming in at many times the price of an actual coin that’s worth money, the Female Flip Coin is a non-legal tender coin meant for any occasion where you would flip a coin. Curiously, the naked-man version is about 40% less expensive. 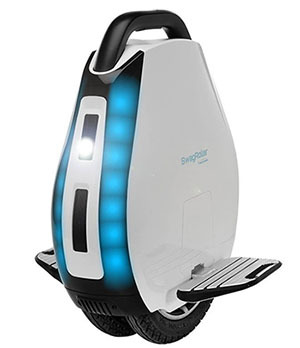 Even if you were to imagine that the concept of “swag” is still contemporary, it would absolutely not be contained in Swagroller, a light-up electric unicycle. Check out the gallery of pics of people using this thing. 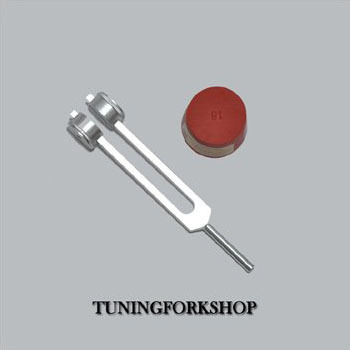 There’s also a music CD that plays the 528 Hz tone, also intended to repair your DNA. If you don’t yet think this is a deep pool of insanity, you should read the description, if not the text, of “The Book of 528: Prosperity Key Of Love,” an insane 528 Hz-based book written by a dentist. Yeah, I get that it’s a fetish thing. 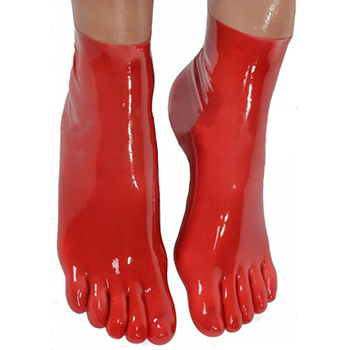 I just can’t stop thinking about how sweaty your feet would get after about 30 seconds. 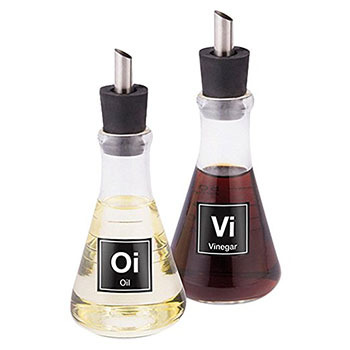 For those whose feet don’t sweat and are only lamenting the fact that they don’t go up further, there’s a knee-high version. 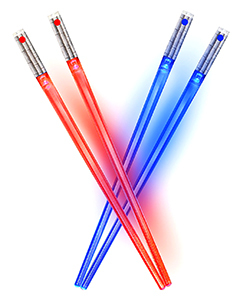 Even if you wanted to eat with lightsaber chopsticks, and even if you’re a collector of bootleg Star Wars merchandise, you have to admit that it’s a flawed design when the manufacturer tells you up front that you can’t get them wet or they’ll break.